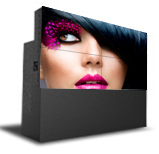 Laser light source in Video walls offers brightest DLP® display exceeding 2400 Lumens (Almost 3 times of any competing light source). 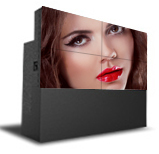 Laser DLP® Cubes from Delta achieve ≥ 98% brightness uniformity creating an industry benchmark. 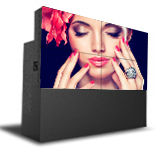 Laser DLP Video wall ensures high levels of redundancy at all levels (Light Source Redundancy, Power Supply Redundancy, display input redundancy) to ensure the highest Uptime in a 24x7 operating environment. 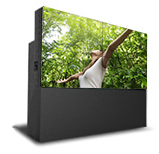 With Laser Video wall, Delta introduces first of its kind Intelli-sense, an in-built unique and intelligent auto correction system to ensure enhanced system performance and long life without external intervention. Standard Cube brightness decays over the operating life due to accumulation of dust particles inside the projection engine. Laser DLP Cubes from Delta are equipped with state-of-the-art anti-dust design to ensure extreme of high brightness over its life time. 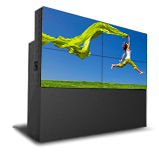 This is industry’s only IP6X Certified Projection system. 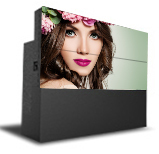 Boasting of high Contrast ratios, (1,000,000:1), the 60" Rear Access Laser Video wall delivers crisp, sharp whites and deep dark blacks producing 3D-like images. 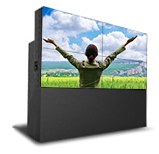 An auto-color calibration system continuously monitors sensors in real time and automatically adjusts the color temperature and brightness in a video wall, ensuring control room operators’ view a perfectly uniform image across the entire screen at all times. 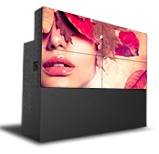 The unique combination of DLP expertise, in-house design and Delta’s unrelenting drive for quality and perfection ensures the 60" Rear Access Laser Video wall delivers the highest levels of reliability. 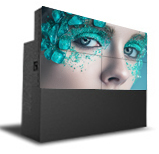 The projection engine of 60" Rear Access Laser Video wall is mounted inside the cube on a six-axis adjustment base, which provides the ability to make precise geometric adjustments in six directions to obtain pixel-perfect alignment between individual cubes.